The 2017 Positive Peace Conference will bring together leading experts in positive peace: the attitudes, institutions and structures that prevent violence. Practitioners, policymakers, members of the media, corporate leaders, and representatives of fields like atrocity and conflict prevention and humanitarian assistance, will come together to discuss new opportunities and challenges for strengthening positive peace. Participants will explore Positive Peace through the lenses of research, policy, and practice to explore the peace systems that operate in our communities and countries. The number of people impacted by armed conflict is higher now than at any time since World War II. Violence and conflict continue to thwart basic humanitarian goals and prevent progress on challenges from climate change to poverty reduction. In 2016, over 12% of the global economy was absorbed by the consequences of violence. Yet comparatively little is spent on proactive investments to eradicate the underlying conditions that lead to violence or conflict. Despite a rhetorical commitment to prevention, all too often the global policymaking community is focused on the crisis of the day, intervening too late to make any meaningful impact. Countries with higher levels of Positive Peace are less likely to slip into major conflicts, are more likely to experience less violence, and are better equipped to bounce back from internal or external shocks caused by economic conditions, societal disagreements and natural disasters. In fact, 84% of major political shocks and 91% of violent civil resistance campaigns occurred in countries with lower levels of Positive Peace. The 2017 Positive Peace Conference will bring together leading positive peace practitioners, policymakers, members of the media, and representatives of other fields, including atrocity and conflict prevention and humanitarian assistance, to explore new opportunities and challenges for strengthening positive peace. Understanding society as a system, which emphasizes the interrelationships between various factors, helps inform the understanding of peace and development. 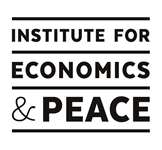 In this session the latest research on positive peace by the Institute for Economics & Peace will be presented in the context of systems thinking, followed by short presentations from experts in a range of fields on the state of systems research, analysis, and investments. Managing corruption is one of the most important factors for peaceful societies. Levels of corruption have a very close statistical relationship with levels of peacefulness, and high levels of corruption can misdirect resources, compound inequities and undermine trust throughout society. The resulting inequities can lead to civil unrest and in extreme situations can be the catalyst for more serious violence. Low levels of corruption, by contrast, can enhance confidence and trust in institutions. This panel will examine the pillar of Low Levels of Corruption in various country contexts, highlighting key policies and programs intended to reduce corruption. One of the eight pillars of positive peace is the Free Flow of Information, defined as free and independent media that disseminates information in a way that leads to better-informed citizens, greater openness and inclusiveness, better decision-making and more rational responses in times of crisis. This framework supports the idea that the media (journalists, media organizations, and other media actors that produce or disseminate information to the public) plays an integral role in building and sustaining societal resilience to violence. Media participation in the conference will ensure that voices representing this pillar, and who shape stories that reflect and interact with all eight pillars, can contribute ideas and learn from the discussion that unfolds. How is information about positive peace and resilience best communicated in a way that is understandable and useful? What are the challenges to delivering and accessing that information? What role does the media play in shaping societal perceptions, attitudes, and responses that can support positive peace? Countries with high Positive Peace are more likely to maintain their stability and adapt and recover from both internal and external shocks. Countries with stronger Positive Peace have restorative capacities and as such are more resilient in the face of civil resistance campaigns. Movements tend to be smaller, exist for a shorter period, have more moderate aims, are more likely to achieve their goals and are far less violent. Panelists will examine the relationship between Positive Peace and other frameworks around resilience and sustainable development. How do we understand societal resilience? How do you build support for longer-term prevention investments in a world dominated by crisis response? Are these interventions cost-effective? And how can we communicate this complexity? Interactive outdoor activity for participants to discuss the links among the pillars of Positive Peace and to map the Positive Peace system. What role do diverse actors, from business to government to civil society, play in building resilience to violence? New initiatives are focused on bringing a Positive Peace approach to local networks, including a strategic partnership to introduce Positive Peace to 1.2 million Rotarians around the world. This panel will bring together representatives from a range of sectors and perspectives to understand the potential collective impact of investing in Positive Peace. The following hotels have room blocks reserved for the Conference. The conference will be held at Stanford University's Levinthal Hall. Breakfast, lunch and dinner, in addition to two coffee breaks, will be provided to all confirmed participants on the day of the conference. Lunch and dinner will take place in the Stanford Faculty Lounge. The conference is free to attend, however participants are required to register and confirm in advance and to pay for their own travel costs. What is the state of empirical knowledge about risk factors versus long-term drivers of peace? What are some unanswered questions about positive peace, and how can they be answered? Is there sufficient data available? What new data needs to be collected? This session will examine positive peace through the lens of systems thinking. It will show the fundamental interrelationships between positive peace factors such as good governance and control of corruption, as well as shed light on the key challenges of tipping countries trapped in vicious cycles of conflict and violence into more positive feedback loops. How is information captured about positive counter-examples at the country and community level? What are the methodological challenges to building a library of positive peace case studies? What data needs to be collected? How can case studies be used as a peacebuilding tool? This session will feature commissioned case studies by leading academics and practitioners. It will also feature IEP’s work on positive peace in Mexico. How do you build support for investments that may take a decade or longer to pay off? Are there interim milestones of success that can be identified? How do you translate systems thinking (which emphasizes the interrelationships between various positive peace factors) into ways that are concrete and measurable for policymakers and practitioners? Please indicate if you will attend the following meals. *we encourage participants to attend the full day. Please confirm in advance for meal and logistical planning.